JR December Dates to Remember! FEBRUARY LEVY – At the November PTA meeting, information was provided regarding the upcoming Seattle Public School’s Levy both from the district and our local state representatives. Tuesday, Dec. 18th – FEAT Quarterly Meeting; FEAT will begin planning for our annual upcoming Heritage Night in March. Join us at 2:30pm in the library. Friday, Dec. 21st – Annual Sing A Long at 12:45pm; Join us as Ms. Trinneer, our music teacher, leads us in song before we leave for the winter break. Bellevue Ice Rink – Mention you are from John Rogers when you pay to skate and they will donate $3 back to our school PTA. Fundraising dates 11/23-12/21 and 1/1-1/13; Admission is $15 and $10 for children 8 & under (skate rental included). Monday Mornings All School Assemblies – join us in the cafeteria after the first bell for weekly all school assemblies! Lunch/Recess Visits – You are always welcome to come visit during lunch or recess. Please make sure your online volunteer paperwork is completed and to sign in at the office to receive a visitor badge upon arrival. K-2 have lunch from 10:55-11:20am with recess following until 11:45am. 3rd-5th have lunch from 11:25-11:50am with recess following until 12:05am. 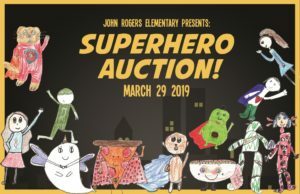 If you make something that you would like to offer to the auction, we’re really excited about a portion of the auction we’re calling John Rogers Marketplace. It will basically replace the Bid-It-Now section. Remember the Otter Tea Towels, skyline mugs, stickers, granola, etc? Think affordable, handmade, local, homegrown treasures from our own community. This entry was posted in Uncategorized on November 2, 2018 by RogersPTA. 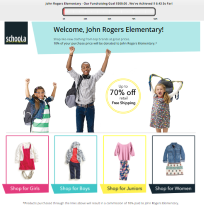 Upcoming Events for John Rogers Elementary! Tuesday, Oct. 16th – Potluck, General PTA Meeting & Parent Education Night starting at 6:00pm in the cafeteria; ALL are welcome to attend; This month’s education focus Social Emotional Learning with our new school counselor. Friday, Oct. 26th – Fall Festival from 6-7:30pm; This is an amazing & fun JR community event, please consider attending and/or volunteering; Sign up genius: https://m.signupgenius.com/#!/showSignUp/30E0F4AAFA828A2FF2-fall and find a spot that works for you. Any questions? Email Karen at krandrew@yahoo.com. Friday, Nov. 2nd – Move A Thon; more information coming soon via kidmail about this annual FUNdraising event. Volunteers will be needed and all children will receive a t-shirt! Wednesday, Nov. 7th – Picture Retakes & Class Pictures; If your child’s picture didn’t quite capture your loved one, here’s your chance for a do over. Also WHOLE class pictures will be taken on this day. Monday, Oct. 15th – Friday, Nov. 9th – Fall Food Drive; Please bring non-perishable food donations to the collection bin outside the office. All donations directly benefit John Rogers families. If your family is in need of a food box, please contact Ms. Bergan or Ms. Dougherty in the office by Nov. 9. Boxes will be available for pick up on Nov. 14. This entry was posted in Uncategorized on October 15, 2018 by RogersPTA. Karaoke and Bingo are happening TONIGHT! Saturday 13th, 6:30pm to 8:30pm at the Lake City Community Center. It’s super fun and we have the chance to win $300-$600 for the school! This entry was posted in Uncategorized on October 13, 2018 by RogersPTA.